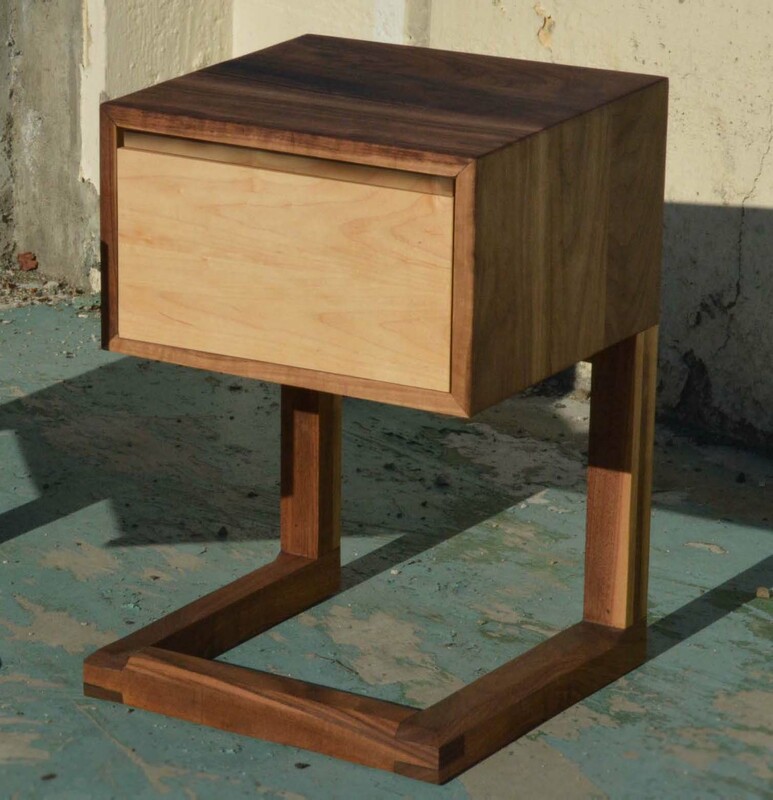 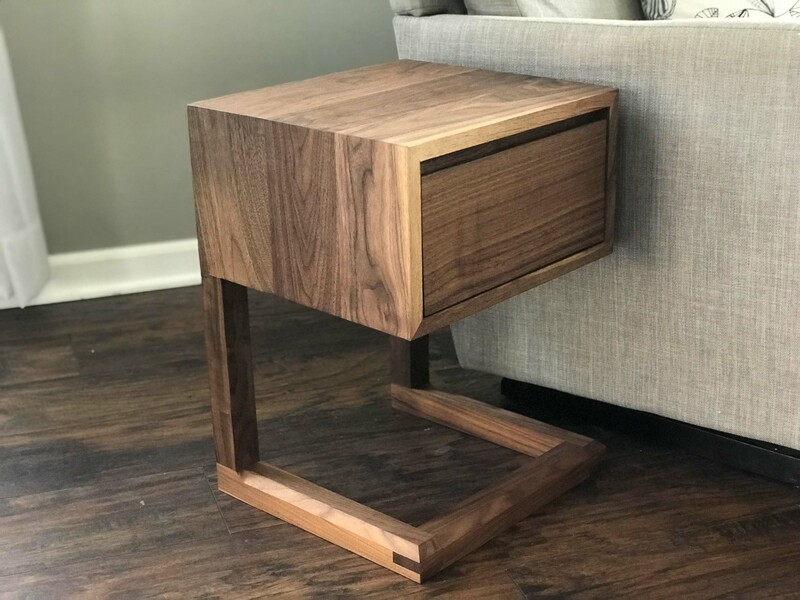 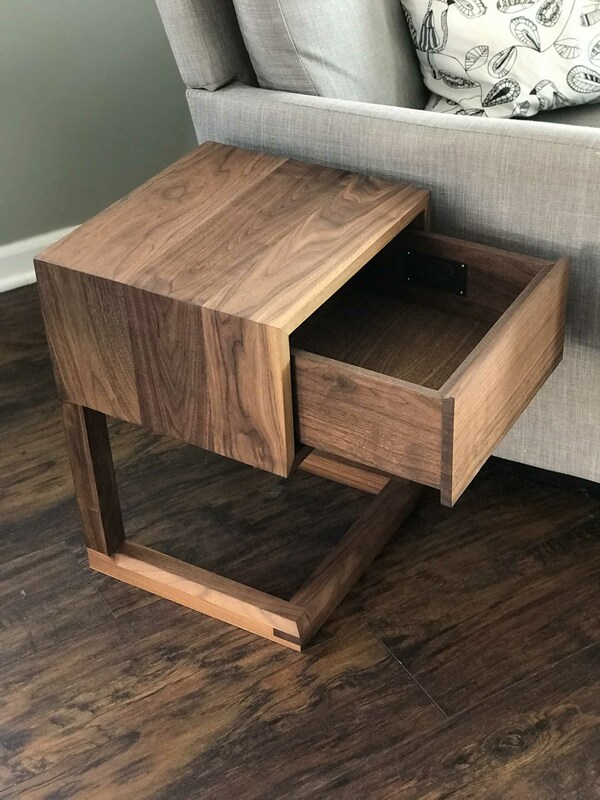 Solid Black Walnut C night stand side table with continuous grain, waterfall effect across sides and top. 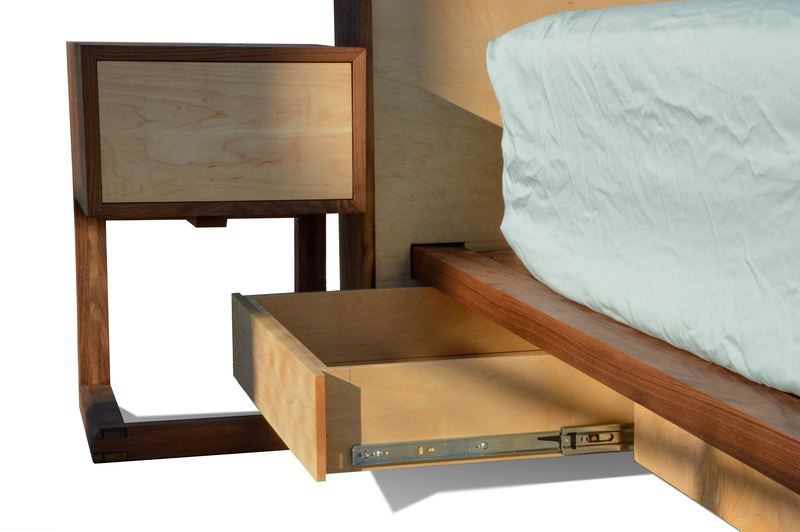 A great addition to any of our platform beds as the drawers slide under the stand. 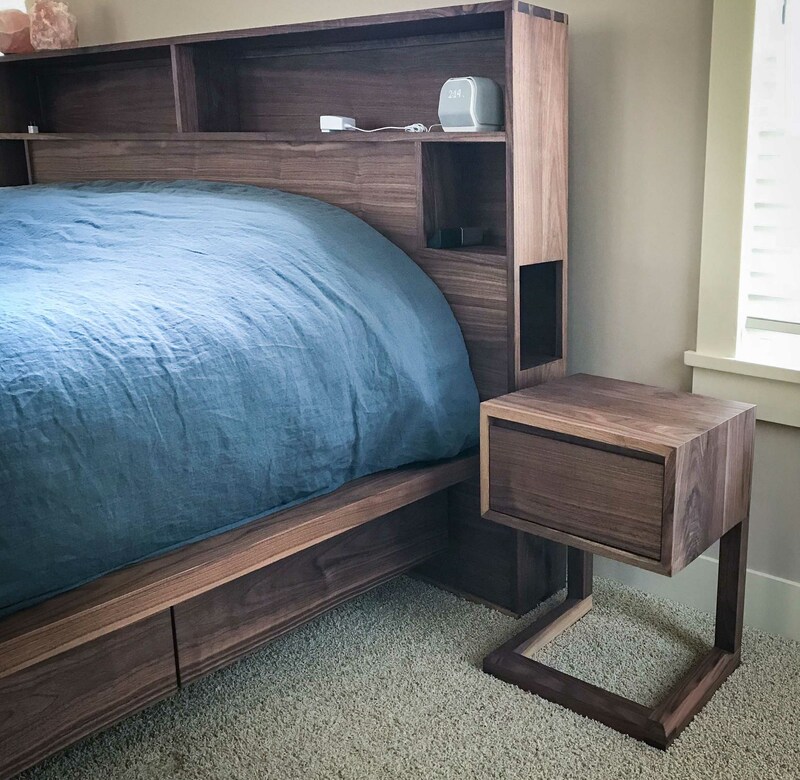 Drawers are on full extension soft closing BLUM slides.